An exercise to practice the family. It is done to students that work with New Happy Street 2. 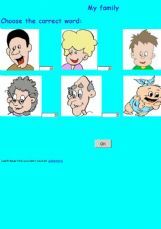 This is a vocabulary worksheet on family relationships. Easy lesson for beginners. 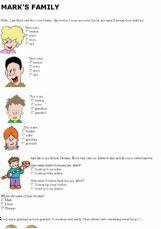 Mark�s family - basic vocabulary, elementary reading comprehension. 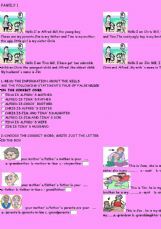 Wordsearch - names of the family. 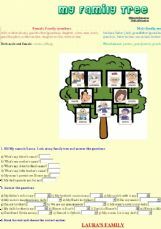 It�s an easy OE for students to practise vocabulary on the topic of FAMILY. 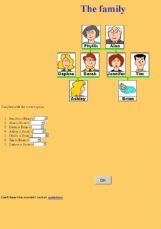 There�s a vocabulary list, a family tree with questions, a reading comprehension with a multiple-choice activity and a wordsearch. I hope you find it useful! 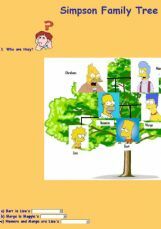 Reinforce the members of the family with this family tree. 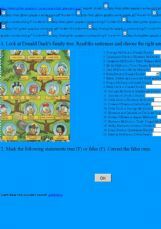 Students look at Donald Duck�s family tree and complete the sentences by choosing the correct option. Then they mark the statements true or false and correct the false ones.